1. 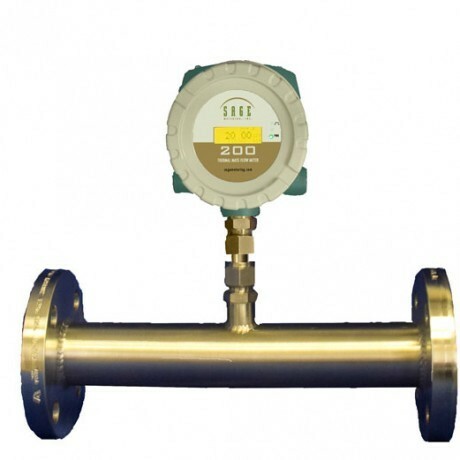 Sage meters have the lowest rate of energy loss with a power dissipation of 2.5 watts, making them the most efficient thermal mass flow meter. 2. All units come calibrated from the Sage NIST traceable calibration facility and are preconfigured with the specified process and installation parameters for the application. 3. The meter has a two compartment compact housing with a separate wiring section containing large, easy to access terminals to simplify field installation.